Malone moved up well in the 1500m with a NJ record of 3:46.97! Amazing performances highlights the weekend from all over the country. Check it all out here! 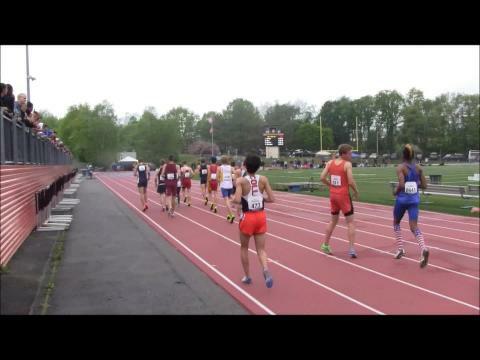 Rhode Island and Massachusetts’s athletes held their own (and more) during the first two days of competition at the 46th annual Glenn D. Loucks Games in White Plains, N.Y.
MileSplit NY - Cross your fingers folks, as two things are predicted for this weekend. The first is that this may be one of the finest looking fields the Loucks Games has ever produced, and fast time are already being heralded on the online message boards. The other forecast? Rain, and lots of it. Hopefully, it holds out for all the action to get underway, but it may be time to break out the umbrellas. Regardless, we break down what we feel are some of the best races to watch over the three days of action. Berkson battling Southerland in rematch of NBNI 800. McIntosh one of top seeds in 200. Wilbur among field in 3,200.